The Hispanic Scholarship Fund is the nation’s largest provider of college financial aid for Latino students. HSF offers several scholarship programs that become available at different times in the year. Beginning September of every year, scholarships become available for the upcoming academic year. HSF scholarship award amounts range from $1,000-$15,000. The average award amount is $2,500 for students attending four year institutions and $1,250 for students attending two year institutions. Funded by a grant from the Bill & Melinda Gates Foundation, was established in 1999 to provide outstanding African American, American Indian/Alaska Native, Asian Pacific Islander American, and Hispanic American students with an opportunity to complete an undergraduate college education in all discipline areas and a graduate education for those students pursuing studies in mathematics, science, engineering, education, public health or library science. The goal of GMS is to promote academic excellence and to provide an opportunity for thousands of outstanding students with significant financial need to reach their fullest potential. The Gates Millennium Scholars program is available to graduating high school seniors. It provides substantial scholarship awards to exceptional high school seniors for study at the college of their choice. Eligible applicants must have a minimum grade point average (GPA) of 3.3 on a 4.0 scale, demonstrated leadership skills, and significant financial need. 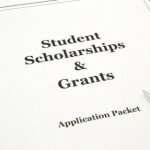 Beyond HSF scholarships, there are numerous funding sources that you should also consider. Address questions and suggestions to kbarrionuevo@hsf.net.